We are very proud that Lee Botti was selected as the very first recipient of a new award to the Cape Town Exporters Club. 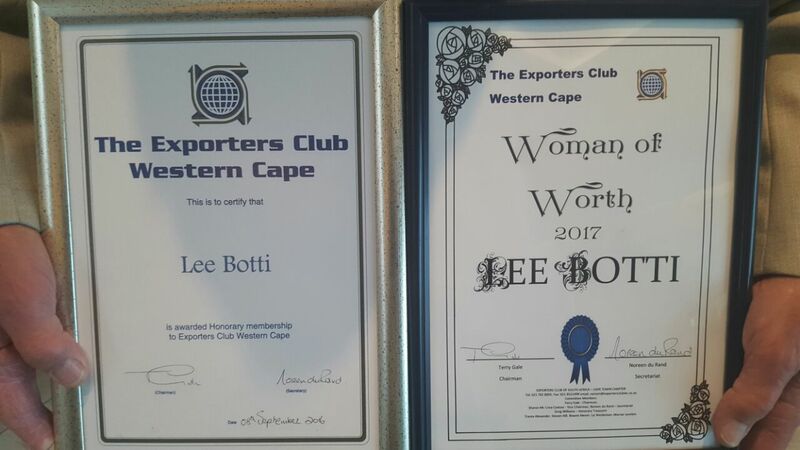 Lee was presented with the ‘Woman of Worth’ award by Terry Gale, Chairman of the Exporters Club – Western Cape, at a recent breakfast held at the Cape Verde Hotel on the 25th August 2017. 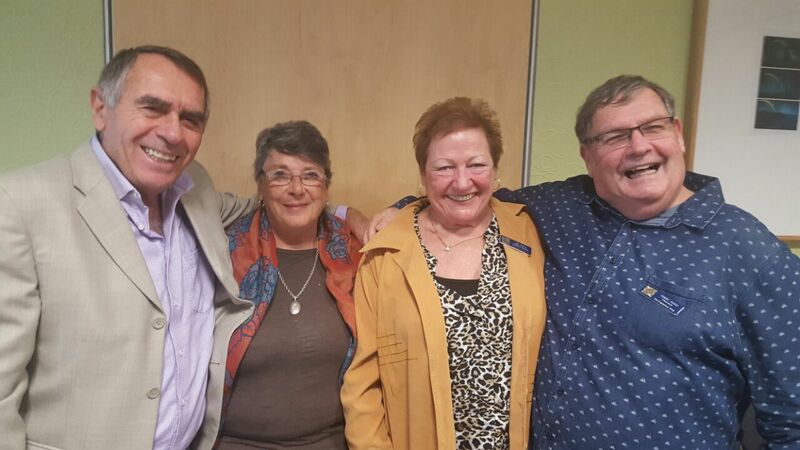 This nomination was in appreciation of Lee’s contribution with our iThuba project and the great work that she is doing in providing a very needed workshop to school learners in preparing them for seeking employment and entering the job market. In addition to this award, and based on Lee’s many years as a member to Exporters Club, Terry Gale and the committee also proudly awarded Lee with her Honorary Membership.